Whether entertaining business clients, closing a major deal or socializing with family and friends, United Center premium seating and suite options provide the very best in sports and entertainment. Please click on the image above to download Rental Suite information. The 20-person Club and Penthouse Suites, as well as the 40 and 80-person Super Suites, include tickets to the event, parking passes, the choice of two food and beverage packages with a four-hour open bar, private catering attendants, bartenders and much more. The 40 and 80-person Super Suites also include a separate 500-1000 sq. ft. private lounge, which can be used for pre-event meetings and presentations. Have a meeting, then enjoy the event! For more information or to reserve your Day-of-Event Club, Penthouse or Super Suite today, call 312.455.4000 and ask for a Ticket Representative. All games and events are subject to availability. Membership can be purchased for three or five-year terms. For more information, please call 312.455.4000 and ask for a Ticket Representative. Enjoy first-class amenities with world class sports and entertainment. Ownership of a Theater Box gives you a four-person suite as well as a reserved table in an all-inclusive lounge. Located on the Club Suite Level on the east side of the United Center, these boxes offer perfect views of Bulls and Blackhawks games, as well as high profile concerts and special events. You’ll receive four luxurious seats to all regular and preseason Bulls and Blackhawks games, just 28 rows from the floor. Plus you’ll have the option to purchase Theater Box seats for major concerts and special events at the United Center. In the lounge, you’ll find a delicious buffet, expertly prepared by the culinary team, that offers a wide selection to suit every taste. With two large bars and in-seat wait service, a fresh drink is always available. All food and beverages are included with your Theater Box at no additional charge. Two parking passes are also provided. For more information, please call 312.455.4000 and ask for a Ticket Representative. 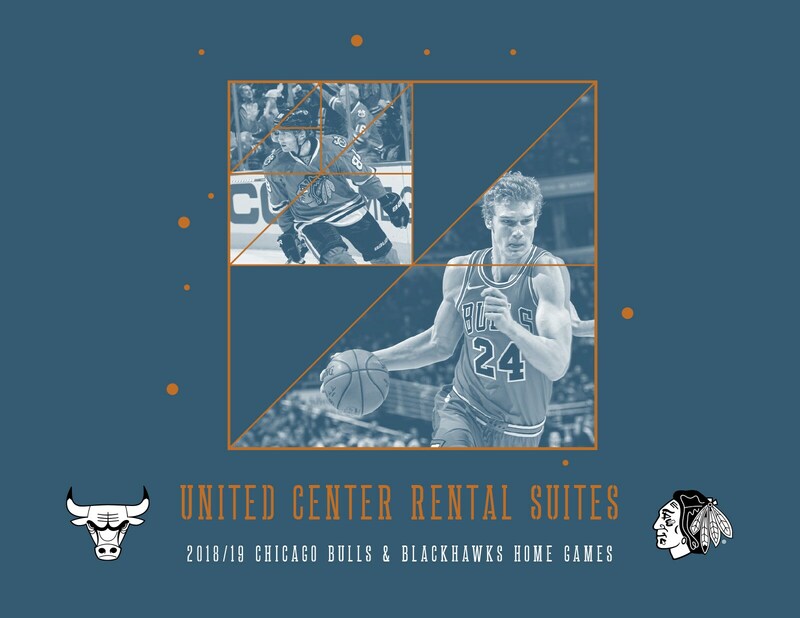 United Center Executive Suites provide the very best in sports and entertainment. Chicago is a sports crazy town, and the social fabric revolves around its teams. In the center of it all sits the United Center, home of the Chicago Bulls, Blackhawks and a wide array of the most popular musical acts, family shows and college basketball events in the country. When combined with a commitment to delicious cuisine, the finest quality, the highest comfort and superior service, the United Center is one of the top sports and entertainment venues in the world. For information about leasing an Executive Suite at the United Center, please call 312.455.4000 and ask for a Ticket Representative.